The floating umbrellas are absolutely darling! And the variety of flowers on the table adds some nice color. 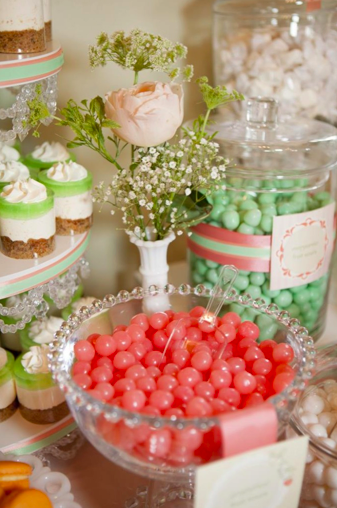 Macarons are popular baby shower treats, but you can also do candies like jelly beans and malt balls – all pastel colors, of course. 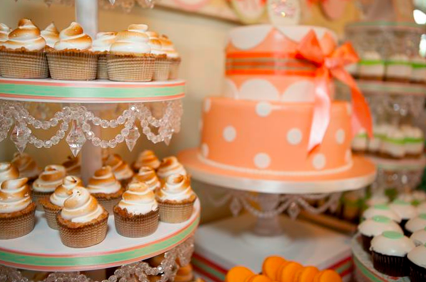 This is such a cute treat table. 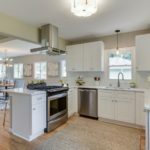 Simplicity is done well here! 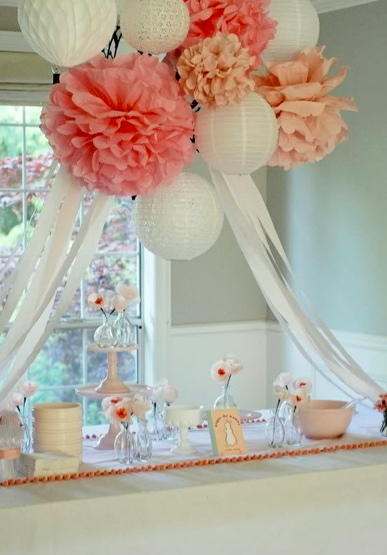 Orange isn’t a color you often see at baby showers but I think it looks really nice! The bow on the cake is a nice touch, too. 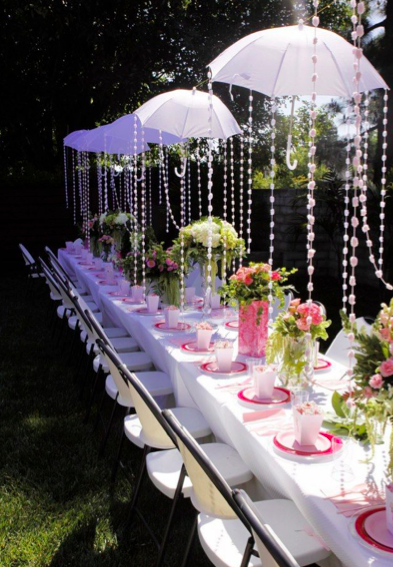 Outdoor baby showers can be really lovely if it’s nice out. 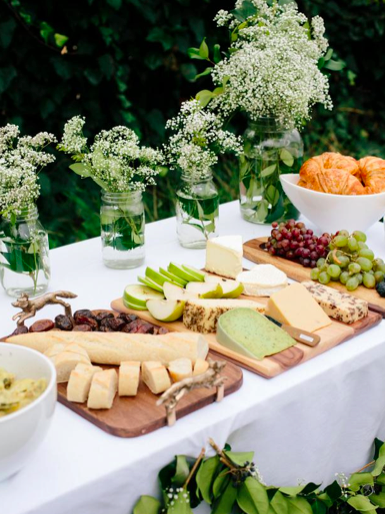 This table setting is simple but beautiful. 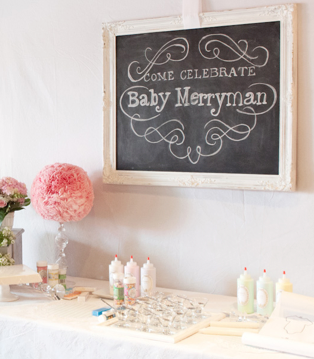 If you click on the above picture you’ll be taken to a blog about what’s possibly the cutest, classiest baby shower that’s ever been thrown. 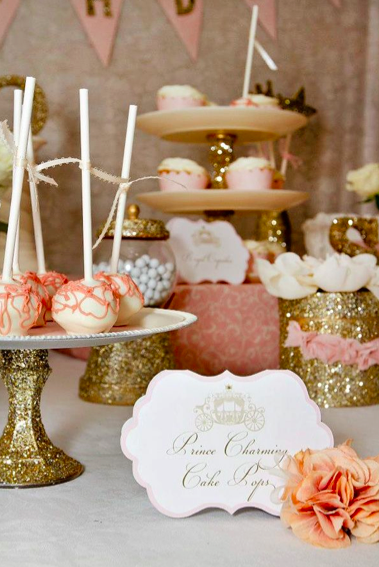 Sparkles, flowers and cake balls are just about as elegant as it gets. 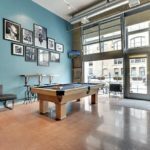 Keep the table simple but the ceilings festive! It’s a beautiful contrast. 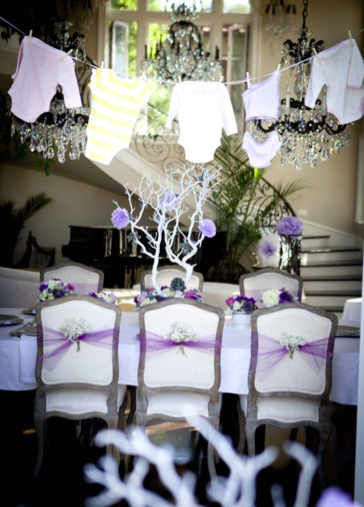 Purple is another great color for a baby shower, as long as it’s used delicately like it is here. 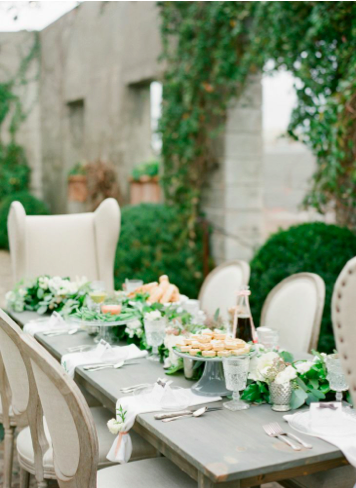 This is another nice outdoor setup. It’s nice to keep the snacks healthy for the new momma, too. I love every one of the ideas above. 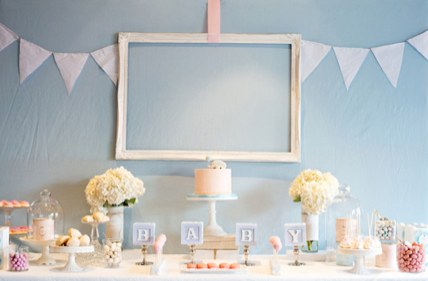 What would you add to an elegant baby shower?